Leading, training and developing your team while troubleshooting any problems that occur, you'll be closely involved in everything from monitoring performance to coordinating promotional activity, analysing competitor activity and compiling reports for use in operational forecasting. It's a brief that is as varied as it is challenging. As an Assistant Branch Manager you will support the Branch Manager with ensuring the Branch meets sales and productivity targets and the highest standards of service are upheld. You will be heavily involved in leading, training and developing your team whilst troubleshooting any problems that occur, as with the Branch Manager you'll be closely involved in everything from monitoring performance to coordinating promotional activity, analysing competitor activity and compiling reports for use in operational forecasting. This is a true manager role. With great opportunities to develop your career and progress this is an excellent role in which to begin your career with CTD. Fabulous customer service is vital to our success as a business. Customers are our lifeblood, they pay our wages. If we let them down, they will go elsewhere. Without customers we don’t have a business. It is our job to make sure our customers have a great experience when they come to CTD. You can make the greatest difference to the service we offer. There are many different tile businesses around, all of them offering similar products and services to CTD. Our customer promise only works because we have the best people who love our customers. This is what keeps our customers coming back. If you feel you can provide exceptional customer service this role is perfect for you. We have opportunities for full and part time Branch Assistants. Regional & Area Operations Managers are critical in delivering the profit and customer service aims of our business. In this role you will lead to teams in your area to deliver the best they can. The teams based at our Distribution centres in Denton, Glasgow, Newcastle and Kings Norton. Within a Distribution site we have a varied range of roles from a Showroom Managers/Supervisors, Warehouse Assistants, Sales Office teams and Merchandisers. We have a wide variety of Field Sales roles in our 3 Sectors: Retail Distribution, Architectural and our Contract Sales Teams. A CTD Contract Sales Manager is employed to sell and promote CTD Group products within the Contract Interiors market. You will be responsible for developing all business opportunities on your territory, which should include but not be limited to selling to Construction Sectors such as Housebuilders, Housing Associations, Commercial, Education, Healthcare, and Local Authorities. This will be achieved by developing solid business to business relationships with all business targets within the territory such as: Tile Fixers and Contract Flooring Companies, Interior Fit Out Companies, Main Contractors, Regional Developers and National Housebuilders, University Estates Departments, Registered Social Landlords, Housing Associations and Local Authorities. The CTD Retail Distribution Sales Manager is employed to sell and promote CTD Group products within the Retail Distribution Sector. You will be responsible for developing all business opportunities on your patch which should include but not be limited to: tile retailers; kitchen & bathroom specialists; distributors; builder’s merchants; conservatory companies; SGBD group companies. Results will be achieved through developing solid business to business relationships with all business targets on your territory. The Retail Distribution Sales Manager is responsible for developing all business opportunities within their appointed territory which should include but not be limited to all of the above. The CTD Specification Sales Manager is employed to manage the relationship between our company and the influencers on the Commercial Specification market in a stipulated territory. 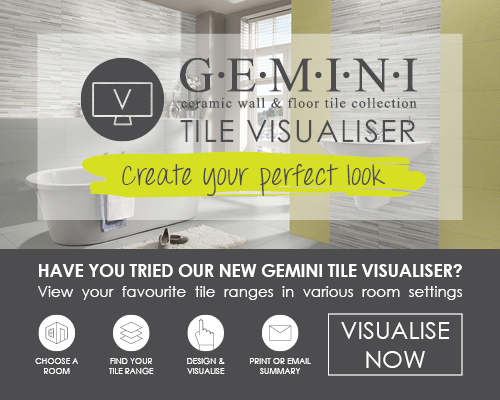 You will be responsible for the promotion of tiles, natural stone, agglomerates and ancillary products into the Architect and Design community, Main Contractors and large commercial tiling contractors across the territory. This will be achieved by developing solid business to business relationships with all target audiences and Key Stakeholders within the territory by creating value to the specifier and being the point of reference for innovative product and technical expertise. From Marketing Assistants to Purchasing and Supply Chain experts we have a wide variety of Head Office roles.